Geboers Machines is a family business set up by Wim and Francine. Their son, Nick, is now actively involved with the daily operation of the company, being supported by a team of eight highly motivated employees. 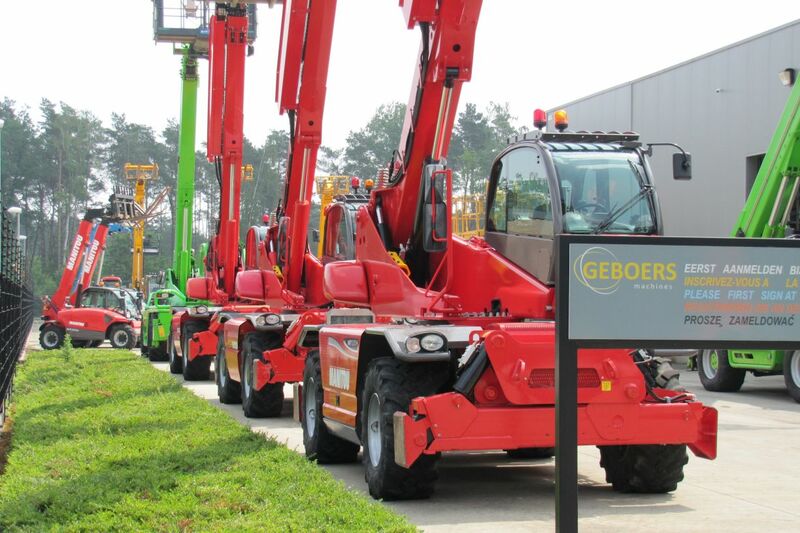 In the meantime we have grown to become an international company: GEBOERS MACHINES. You can always count on a customer-friendly, correct and reliable service. And with our fair prices you know for sure that you are getting the quality you need. Our cooperation doesn’t end after the purchase of a machine. We also have an aftersales service. Geboers Machines specialises in the worldwide purchase and sale of construction machines with telehandlers as our specialisation. Our range consists of second-hand machines that have been checked and tested by an experienced mechanic. You are always welcome to come to view and test our machines on-site. Should you be looking for a machine that is not on the website, don’t hesitate to contact us. We will do our level best to find the machine you are looking for. At present our clientele consists of contacts from more than 90 different countries - we are operating worldwide.